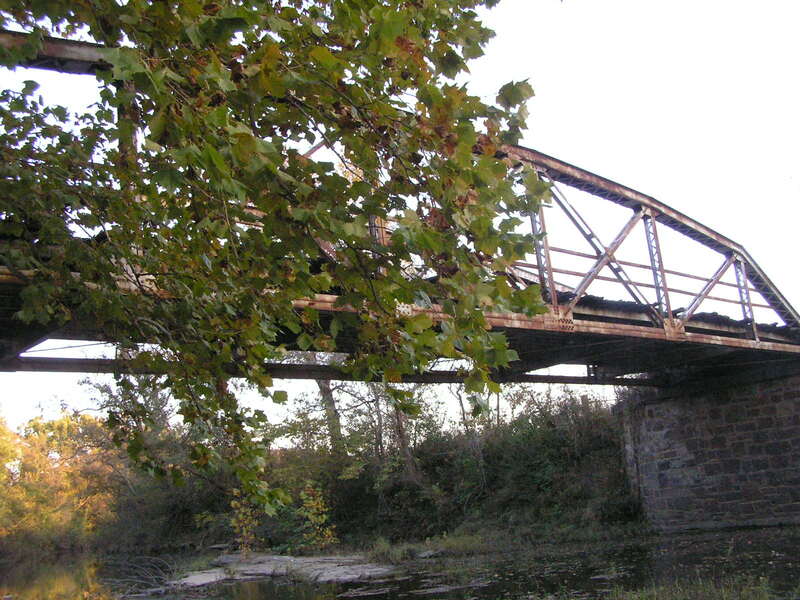 Located in the Ft. Gibson area, this 70-foot Parker pony truss was built in 1914 by the Vincennes Bridge Co, of Vincennes Indiana; and stands on impressive stone foundations. Above, looking north on the deck of the bridge. 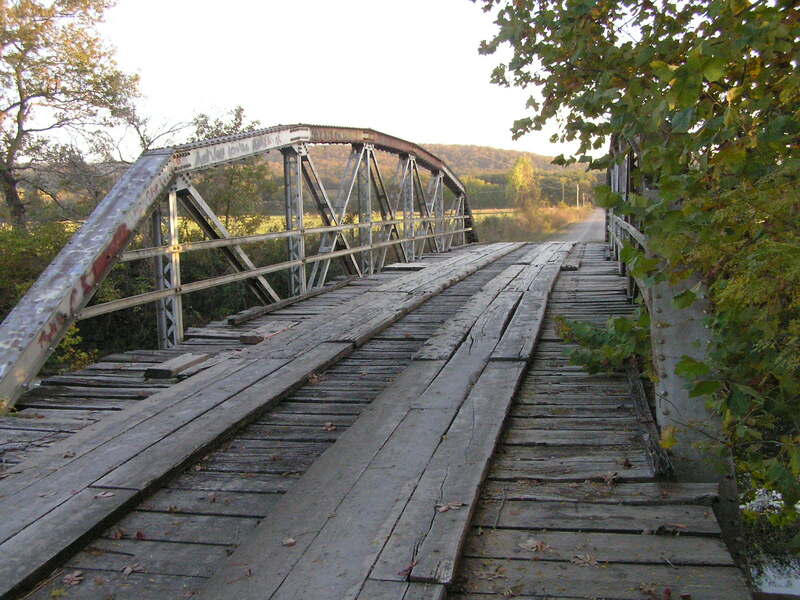 The bridge is of riveted design and is 7-panels in length. 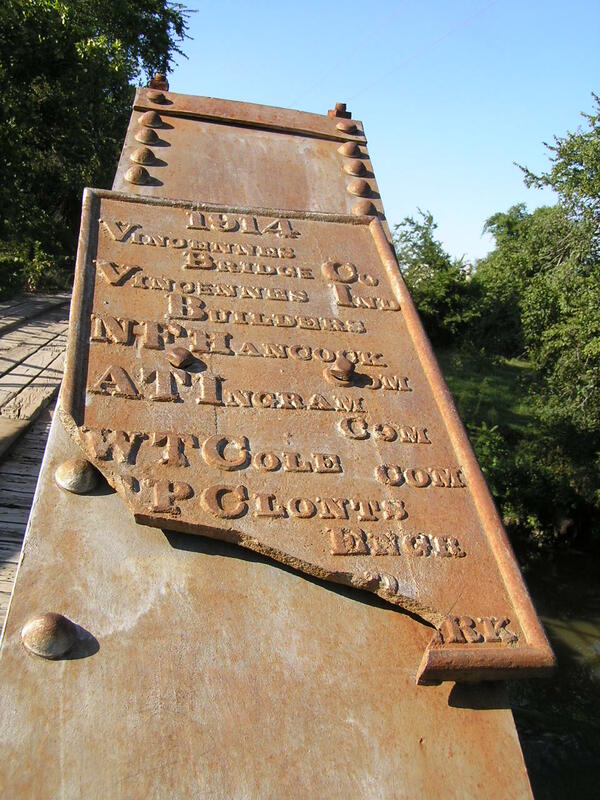 Below, the plaque located on the bridge. 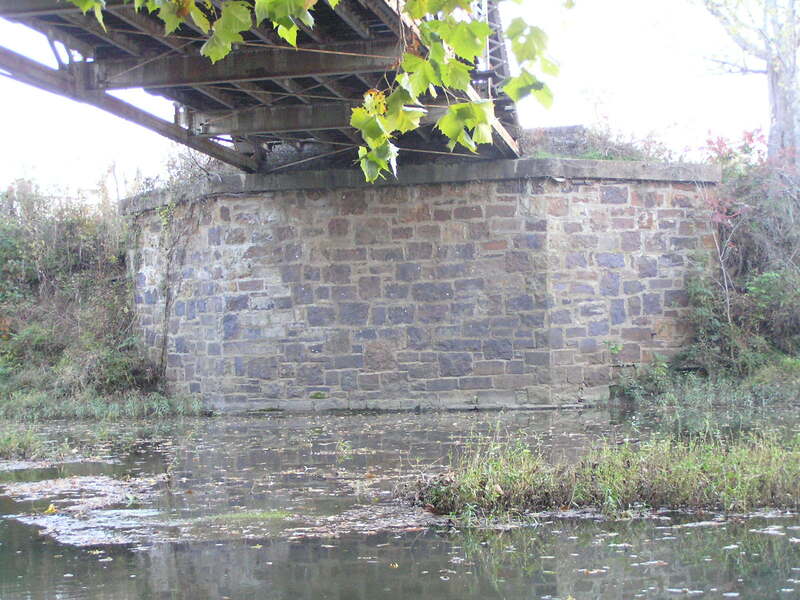 Below, view of the stone foundations supporting the bridge. Below, a side view of the bridge.